Photo of the Month is open for nominations. *This month we are seeking photos of new buses - 621, 632-641 and 710-712. By submitting a photo which matches this criterion, you may post up to three photos - but all three must not be of the same bus. Submissions close midnight 27 August, Australian Eastern Standard time, although submissions may be closed early once 10 photos have been submitted. 379 lays over on Hickey Court, North Weston. 203 037 gives 384 a lift home from College St.
621 departs Cohen St Bus Station. Bus 639 exits Westfield Belconnen Bus Station. 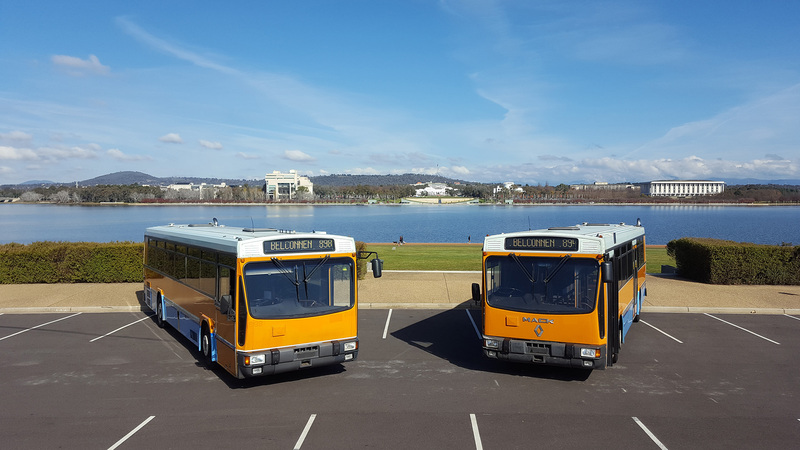 Buses 898 and 894 departed Canberra on 27 May, having gone in to preservation with their new owner. They are seen here by Lake Burley Griffin immediately prior to departure. 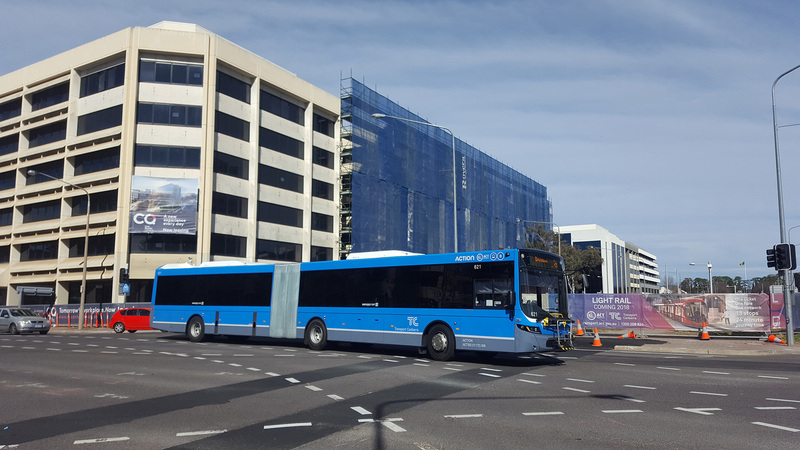 Bus 621 at the Northbourne Avenue & Cooyong Street intersection on 10 August. This intersection will change considerably over the next 12 months, with the demolition of the buildings behind, and construction of the Light Rail. Bus 640 seen in the City on 19 August. With Floriade about to commence, next month's bonus photo category is: Non-ACTION Buses. 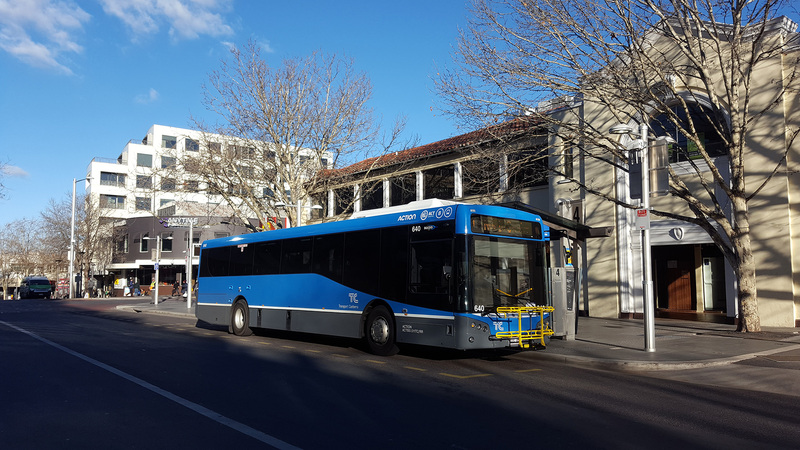 So any visiting coach or double-deck shuttle, as well as buses from QCity or Deane.